Kitesurfing is an extreme water sport that combines wakeboarding, snowboarding, windsurfing, surfing, paragliding, and skateboarding. Kiteboarders control the wind's energy using a large kite called a power kite. Kiteboarders propel themselves across water on a kiteboard, which is similar to a wakeboard or a small surfboard. Kitesurfing is the next hobby I want to check off my to-learn list. It combines everything I love; boarding, kiting, the beach, and having fun! I'm going to learn how to kitesurf by attending a kitesurfing camp. I'm looking at kitesurfing camps in amazing places like Mexico, South America, Africa, and Asia. I'm trying to decide between the kitesurfing camp in Spain or Costa Rica. If it involves a board, I'm all about it. Whether it has wheels or not, and no matter what type of surface it's on, I know I'm going to have fun and I'm always down. The science behind boarding takes time to grasp and involves countless hours of trial and error, but once you're comfortable with one board sport, you can pick up other board sports much easier. For example, if you know how to skateboard well, you can pick up snowboarding or surfing much easier. After almost two decades of trying various board sports, boarding comes naturally to me now. I can get up on any type of board and go! The rush from riding a board through pavement, dirt, snow, or water is like no other feeling. You feel so...free! I picked up my passion for power kiting about 3 years ago. I was at a beach in Santa Cruz and saw someone controlling a small kite using a pair of handles. They were making the kite do tricks and stunts! I went home and researched the sport of power kiting and became very interested. 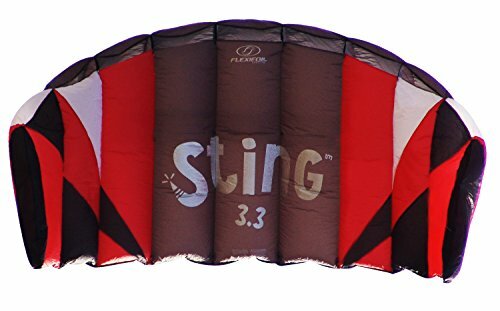 I looked up power kites on Amazon and was excited to find one for less than $50. I hit the buy button and haven't looked back since. I watched some Youtube videos to learn how to power kite and after my package arrived I took my brand new power kite to the beach. I set it up using the instructions I memorized from the Youtube videos and 1, 2, 3...liftoff! It was in the air. As soon as the kite took off from the ground I was instantly hooked and knew I had found a new favorite hobby. Since then I've spent countless hours at the beach practicing and perfecting my power kiting skills. 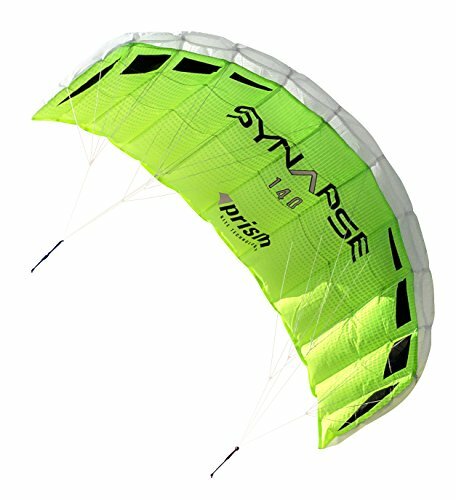 I even upgraded from a smaller 2-line power kite (linked above - $50) to a larger 4-line power kite (linked below) that was about $200. Both the small kite and large kite are fun and each is good for different conditions. The smaller kite is better for beginners and requires more wind. The larger kite feels heavier in the sky, tugs harder, and requires less wind. Being able to control the energy generated by wind using a power kite is indescribably fun. Learning how to power kite is a very satisfying accomplishment because you learn more about the wind currents in the sky while getting exercise. The adrenaline generated in your body when your kite tries to tug you off the ground is a sensation that is best experienced in person. I recommend everyone try power kiting at some point. If you're in LA, you can even contact me for a lesson. I love power kiting and want everyone to experience how fun it is. I've showed countless friends how to power kite and everyone always becomes hooked. So with board sports and power kiting being my two favorite hobbies, it's only natural that I try kitesurfing at some point. But I haven't yet! That's why my goal is to try kitesurfing as soon as possible.